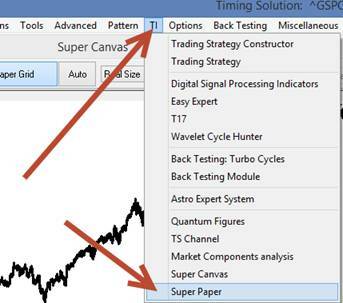 The module emulates a real price chart that might be drawn on a piece of paper. 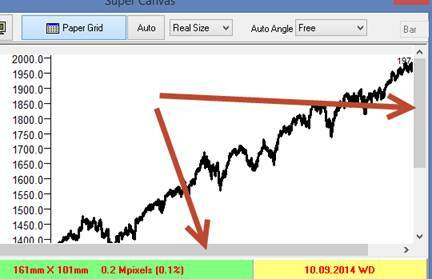 In other words, when you drag/zoom the chart, all its proportions and sizes and angles stay the same. 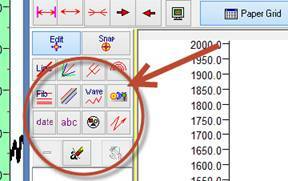 For example, if you initially draw 45-degree Gann fan, it stays the same 45-degree fan while you manipulate the price chart. An important note: it is a pilot version only. I would say that the module is complete about 50%. 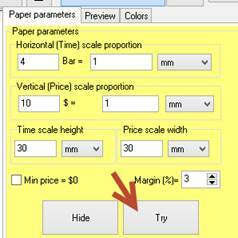 You can define here parameters of your "paper": the number of bars per 1 mm, $ amount per 1mm, etc. 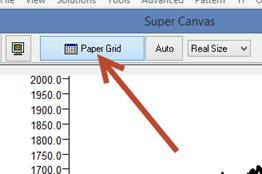 The program will form a price chart that fits your parameters precisely. 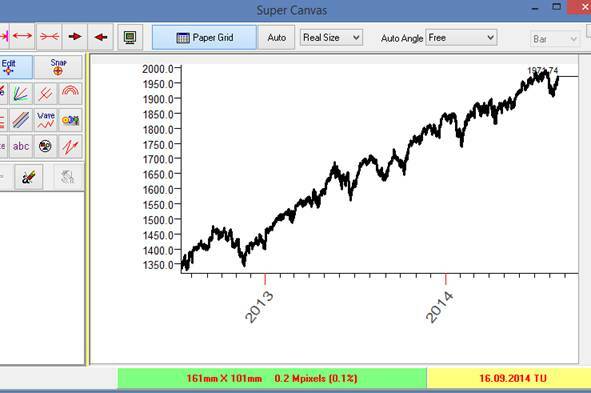 Here for EOD chart I set 4 trading days per mm for time scale and $10 per mm - price scale (long term chart example).